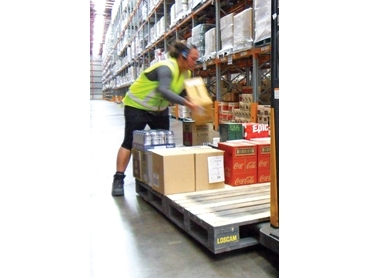 Asia Pacific’s leading pallet rental company Loscam is celebrating its second anniversary in New Zealand. Describing the occasion as a significant milestone for the company, Nick Trask, Business Manager for Loscam New Zealand observes that their customer base has grown over the past two years to include some of New Zealand’s best known brands, taking advantage of their 17 conveniently located depots around the country. Loscam was purchased by China Merchants Group in 2010 with New Zealand being the first new market entry. With over $60bn in assets and a number of other investments in New Zealand, China Merchants is in it for the long haul. David Edwards, China Merchants Loscam’s Hong Kong based head of Business Development explains that China Merchants Group, as one of the world’s largest investors and operators of ports and other large infrastructure assets, are comfortable with the time taken to generate returns from new ventures. Loscam is currently looking at making further investments in New Zealand in the plastics returnable sector as well as bulk containers to help their manufacturing customers. He adds that New Zealand is not only crucial for China Merchants’ portfolio of investments, but is also a critical market as a future food source for the growing Chinese market. Loscam is uniquely positioned to assist their customers to take advantage of the vast China market. Nick attributes their success in New Zealand to Loscam’s ability to provide a much better quality pallet, competitive pricing and superior levels of customer service. Loscam was established in Australia in 1942 and now operates in 10 countries, with a leadership position in Asia.